Endowments are crucial investments in UWM’s future. Earnings from endowed funds provide perpetual support for talented students, faculty positions, or programs and may be named to honor the donor or anyone of his or her choosing. The UWM Foundation strategically invests the endowed funds and annually awards a percentage of the earnings for the designated scholarship, professorship, or program. With time, the endowment grows, and so does the value of the annual award. Endowments may be created with payments over several years, or with an estate gift. 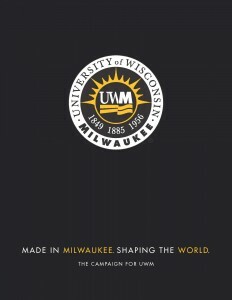 Contact uwmgift@uwm.edu to learn more about creating an endowment.